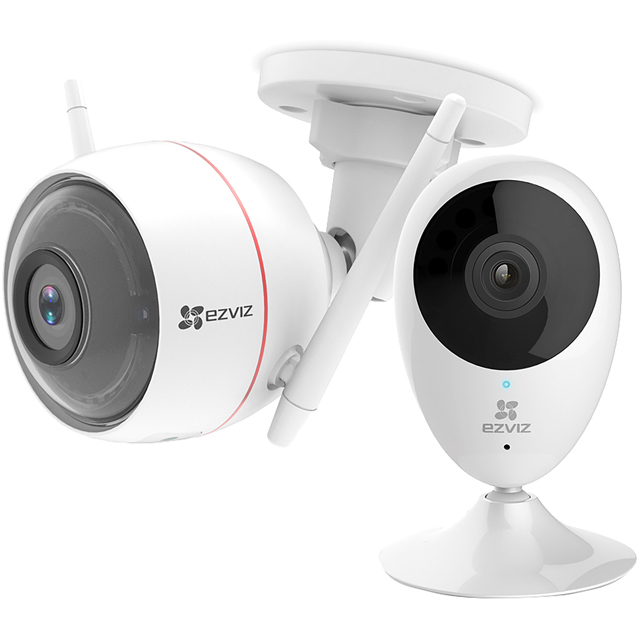 Protect your house both inside and out with this EZVIZ Home security bundle. It includes an ezGuard Plus camera and Mini O smart camera to monitor your home from different angles. You can control them both remotely via the companion app, and when you’re out you’ll be able to check everything’s alright at home. Plus, you’ll be able to see any visitors clear as day thanks to the Full HD and HD cameras - and you’ll still see everything in amazing detail when the sun sets, as they both have night vision. Since they both have two-way audio as well, it’s super-easy to chat to any visitors back at the house. Please note, to use both of the cameras you’ll need to download the free EZVIZ app, which is compatible with all iOS and Android devices.